What are some of the things I can learn at TSPA? "It amazes me how the Truman school seamlessly integrates coursework, professional development, networking and career path development; all the while exposing us to a challenging, supportive and very culturally diverse environment." "The Truman School is like an extended family comprised of individuals who bring a wealth of knowledge, skills, experiences and insights that will continue to have major impacts on our local and global communities. It's an honor to have shared with, and learned from, faculty/staff members and students alike in this home away from home." 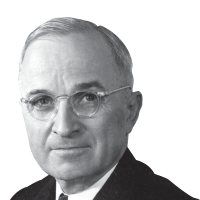 "When I began my experience with the Truman School, I was immediately taken with how the classwork blended the theoretical and the practical in a way that made perfect sense for vocational public service. As I approach my final semester of the program, I feel well equipped to translate the skills I've gained through my classes and research into a professional setting."